Vampire City is a novel that is probably unknown to many, written by Paul Féval it was first published in 1875, a scant three years after Le Fanu’s Carmilla. Brian Stableford, who adapts the edition I have read, argues that it may have been written as early as 1867 and serialised prior to its publication in novel form. 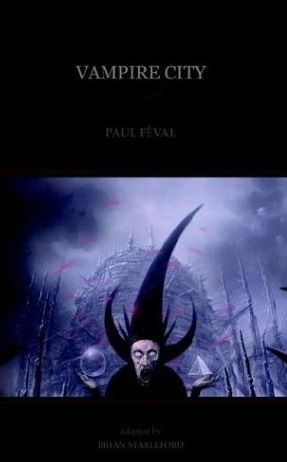 Actually Vampire City is the third vampire based novel by Féval – at the time of writing the Vampire Countess and Knightshade are on my wishlist and I will look at these a latter date – and Stableford points out that Féval is unusual in that he changes his base lore between stories. Vampire City is very much a satirical comedy and features, as its principle character, Ann Radcliffe who, in reality, was one of England’s most successful Gothic novelists. The story takes us on an adventure she begins on the morning that she is supposed to be married, as she goes to the rescue of another couple and the dangers they face from a vampire. The vampire of the piece is one Monsieur Goetzi and he, like all vampires, has the power of ‘dividuality’ – he can make himself more than one creature at a time. The example we are given is that “Madame Brady, the vampire of Szeged, who passed also for an oupire, was cockerel, soldier, lawyer and serpent.” This component parts can also duplicate themselves, doubling the number of manifestations again. The truly creepy part is that these other aspects – in Goetzi’s case a parrot, a dog, a bald woman, a faceless innkeeper and a child with a hoop – are all erstwhile victims of the vampire who have been subsumed into the master and lost their individuality and original forms. Indeed, in the case of Goetzi’s double that was also a victim. What I find really interesting was that Féval suggested that these victims-become-aspects of the vampire could be “considered, up to a point, to be a collective living being.” More, that they “could also be considered as nothing more than a mechanical system.” Now, if I tell you that there is a ‘green’ motif – tell tale green lights, mists and shining eyes – well you will be able to understand why this description from the 19th century reminded me, in part, of the borg from Star Trek (who are essentially space zombies and the classic Romero style zombie was itself lifted out of the vampire genre; I am Legend being a direct inspiration for Night of the Living Dead) – not that I am seriously suggesting that Star Trek borrowed from Féval. When we first see Goetzi feed, it is by piercing his victim behind the left ear with a golden pin. However the vampires are equipped, not with fangs but with “sharply-pointed tongues, with which they can make the punctures necessary for the satisfaction of their hideous appetite. Once that lancet has penetrated, they drink after the fashion of leeches.” Vampires in this can cross running water but first their constituent parts all press in and remerge with the master, who then lies and sails the water feet first! Vampires are also rather difficult to kill. If injured – in this case by separating Goetzi from his double – they become weaker and weaker, eventually having to return to the vampire city – a supernatural place that occupied a geographical place but was hidden, rather like faery. 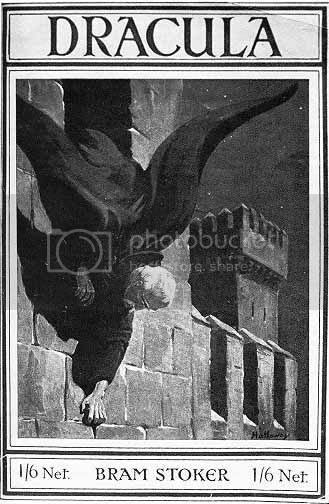 The vampire requires their heart to be wound by an evil priest with a special key (offering more mechanical imagery) and, whilst led in their sepulchre, they are vulnerable. Usefully the entire vampire city is forced into a state of dormancy between 11 and 12 in the morning. Now, approaching a vampire so prone is unpleasant due to the stench, but if the heart is removed and burnt the vampire is destroyed (interestingly when weakened there are aspects of incorporeality and also tendrils from the heart are spiritually attached to their various ‘servant aspects’). The resultant ash is a rather powerful anti-vampire tool, causing other vampires to explode on contact with it – reminding one of the folklore of ingesting the ash from a suspected vampire’s incinerated heart to cure the victim of a vampire. There is some connection between vampires and bats shown in the novel. The portal between the vampire city and our world was to be found near the Gate of the Bat and the servant Merry Bones, whilst attacked by vampires, finds that he has “a bat within each armpit”. Whilst these aren’t major aspects of the novel they do show a connection between vampires and bats pre-Stoker. This is well worth a read, so long as you remember that the language is somewhat antiquated. However it is a genuinely funny and surreal little novel with some incredibly unusual lore. This sounds great. Not one to judge a book by its cover (well I am) but that is some great artwork. L'autore della copertina è Josè Ladronn,che in passato ha lavorato per la Marvel comics e ora sta disegnando l'ultimo capitolo della saga dell'Incal. Feval's Revenants might make a fitting "Vamp of Not" article, Revenants are another folklore creature often compared to Vampires (One Medieval account kills one thee exact same way). And Feval's novel shares the Evil Priest contorting them theme of Vampire City. Going back in time, looking at folklore particularly, then actually I'd probably argue that revenant and vampire were entirely interchangeable. It tends to be in more modern stories where confusion has crept in - was that confusion there with Feval? I must admit that I hadn't thought to look to Feval's Revenant for a “Vamp or Not?" 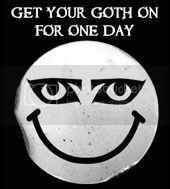 but it will be going on my Amazon wish list for a later date - thank you for the suggestion. I haven't gotten to read it yet, so I don't know how Vampire like they are. But the Plot Summery stuff about waring Sorcerers reminded my of this review of yours. One of the other online reviews of this describes a Vampire in the story as Transgender. But I know allot of people online don't always use that term accurately. it is a possible description though I'd suggest ultimately inaccurate. The character it described as Transgender is named Polly (who is chained to an iron coffin she carries on her shoulder). Polly is a dividuality unit of Monsieur Goetzi, so in those terms so is both a seperate individual (female) who is part of a greater whole (male). It's mostly Vampire City done so far.